Lady Gaga, Justin Bieber and Nirvana are among the musicians up for O Music Awards. The second O Awards, which are MTV's digital music accolades, will be held on October 31st and will aim to reward those celebs who have made their presence known online as well as in the music studio. Categories include Oops I Did It Online, which rewards celebs for their over-sharing, and Best Artist with a Cameraphone for snap happy celebs. Lady Gaga's two nominations are in the Fan Army category, where she'll face other stars with super dedicated fans including Bieber, Taylor Swift and Nicki Minaj, and Must Follow Artist. She's definitely a strong contender for the latter, boasting almost 14 million followers. If she does take home a trophy, Gaga will be adding to the two she picked up at the inaugural awards last year for Most Innovative Artist and Must Follow Artist on Twitter. Aside from the gongs for musicians there are also awards for Most Innovative Festival, Best Music App, Best Music Hack, Beyond the Blog and Most Addictive Social Music Service. Other previous winners include Kanye West for Best Tweet and MJJ Fan Community for Best Fan Forum. Now this is what you call an awesome gift from a singer to a fellow singer. On his 29th birthday Tuesday, Lil Wayne received a remix of his song "How to Love " from his teenage singer friend, Justin Bieber, reported The Hollywood Reporter. What could be a better gift and honor than that? Bieber tweeted a Happy Birthday message to Lil Wayne along with a link to the acoustic version of the song. The song is from Lil Wayne's latest hit Carter 4. 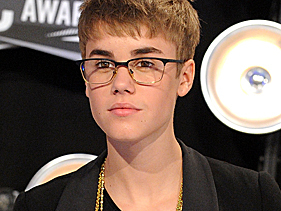 Since it was not Biebert's plan initially to release it on Sept. 27, Bieber's manager, Scooter Braun, thought that the song has been leaked and wrote on his own Twitter, "Some1 leaked jb's how 2 love remix." "guess it's now a bday tribute @LilTunechi." Braun also wrote that Bieber "produced and played everything live" in the remix, the report said. Justin Bieber Wants To Find Sobbing Teenage Girl Who Couldn’t Buy A Ticket To His Concert In Mexico — How Sweet! Justin Bieber just tweeted he must find the sobbing teenage girl who couldn’t buy a ticket to his concert in Mexico tomorrow night because his concert is sold-out! Is Justin Bieber the sweetest celebrity ever?! When he heard and saw the news about a 14-year-old fan breaking down in tears because there were no more tickets left to purchase for his concert tomorrow night at the Arena Monterrey in Mexico, he tweeted: ‘need everyone’s help. we have LESS than 24 hours. we need to find this girl..she is at the 30 sec mark. HELP! thanks’. Let’s hope that Justin finds this little girl in time and gives her the BEST birthday present ever! Justin Bieber never ceases to amaze people with his lack of putting on airs and his efforts at being just a regular guy. This 'regular guy' was in Atlanta hanging out with family recently, and he took his little sister out to eat at Waffle House. According to a report from PerezHilton.com, the Biebs even tweeted a photo of himself with little Jazmyn--hanging out in Waffle House, waiting for their food to arrive. She is positively adorable--but why wouldn't she be? Look at who her big brother is! Can you imagine having all the money that Justin Bieber obviously has at his disposal, and eating at Waffle House? Now there's certainly nothing wrong with the establishment--it's simply not known for haute cuisine--and isn't that what the rich people eat? He has even been known to take girlfriend Selena Gomez to Hooter's a couple of times, too. No haute cuisine there, either! Justin Bieber doesn't seem to care. If he or his little sis wanted Waffle House, then that's exactly where they were going to eat. Good for Justin Bieber! No one says you have to be snobby or pretentious simply because you're rich. He undoubtedly remembers the meager means with which he was raised. People who have lived with less sometimes have a greater appreciation for things once they acquire them, and that certainly seems to be the case with the Biebs. How sweet that he took his little sister out to eat. Earlier in the day he was spotted shopping with little Jazmyn. Can you imagine the number of little girls who would positively swoon over spending a day just shopping and eating with Justin Bieber? Yet little Jazmyn takes it all in stride. After all, to her he's not a superstar. He's simply her big brother. And it sounds like he's doing a very good job of being one, too. FOR months he’s been dreaming of Cheryl Cole – and it seems Justin Bieber’s wildest fantasies could be about to come true. Yep, he’s moved one step closer to working on the Girls Aloud star’s highly anticipated new album. I can reveal Chezza’s US management have started talks with Scooter Braun, who catapulted Justin, 17, to stardom. And Justin’s mentor Usher and Cheryl’s manager Will.i.am have, of course, already worked together. So what are they waiting for? 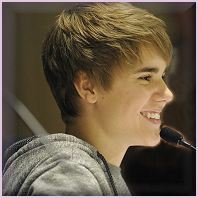 I’m told: “Cheryl is beyond excited about her new album and Bieber’s team are deep in talks with her’s to make a hit. They already see Cheryl and Will.i.am as part of the family. Will’s got a vision for her album, and now the biggest and the best names are keen to be part of it. While we ARE talking purely about work, Justin’s Chezza lookalike girlfriend Selena Gomez may want to clear her diary during the hook-up. Who can forget all the winking Justin did when he appeared on X Factor last year? And the beeline he made for Cheryl at the Brits earlier this year? Cheryl Cole has just confirmed that she spent last night with Justin Bieber. Don’t panic, Justin has ditched Selena Gomez for an older model. Ms Cole was infact snuggled up on her sofa watching Justin’s movie Never Say Never – the perfect night in ladies? The singer was so impressed with Justin’s performance, she took to Twitter to praise the 17 year old. Chezza Tweeted: “I know I'm a bit late in the day but I have just watched @justinbieber Never Say Never.. The Tweet is sure to delight the Canadian star, who was previously quoted in The Sun as saying: "Cheryl Cole and Katy Perry are two of the hottest girls in the world - and so normal and funny with it. "If I was a few years older they are the kind of girls I'd like to date. Cheeky Justin even stole a kiss from Cheryl at the BRIT awards earlier this year. Well you can't blame a boy for trying.